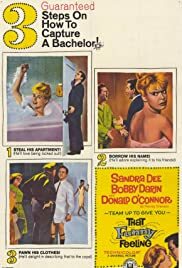 Similar Movies: If a Man Answers, Come September, Tammy Tell Me True, Gidget, Tammy and the Doctor, The Restless Years, A Summer Place, Susan Slept Here, I'd Rather Be Rich, Gidget Goes to Rome, The Reluctant Debutante, Doctor, You've Got to Be Kidding! The real woman died in 1964 this was her last film. what other movies are this much fun?